Winter work is always a challenge. Yet with these Fiskars tools with their distinctive tactile orange handle, you have the best money can buy. 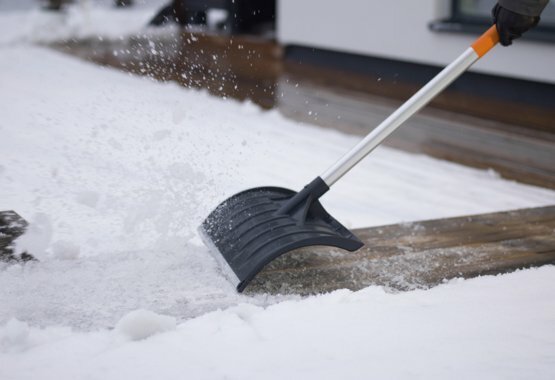 Thanks to their patented, specially reinforced blade edge they delve into the snow and ice more efficiently and last three times longer than other traditional snow tools. Whatever you need this winter, whether a snow shovel, a handy pusher or a solid snow sledge, we’ve got it covered. Our ergonomically designed wide handles, lightweight aluminium shafts and solid polypropylene scoops with the new cutting edges make our Fiskars selection of shovels, pushers, rollers and sledges unbeatable. And if you like to do winter work in style, with the exception of the snow roller, our range is also available in a wonderful white colour.